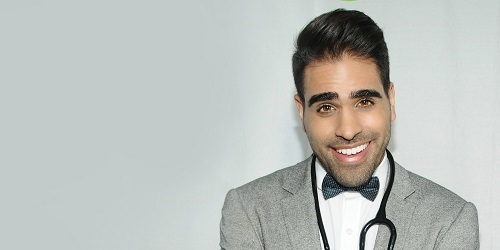 The TV doctor is backing the Cancer Research UK Kids & Teens Star Awards, in partnership with TK Maxx, which celebrate the strength shown by youngsters who have been diagnosed with and treated for cancer. Nominations for this year’s awards are now open people in the North West are being called on to nominate young cancer patients and survivors from across the region in the run up to Christmas. Alison Barbuti, spokesperson for Cancer Research UK Kids & Teens in Cheshire, said: “The Cancer Research UK Kids & Teens Star Awards, in partnership with TK Maxx, recognise young cancer patients who have survived cancer or are currently being treated for the disease. “Cancer can have a devastating impact on their lives and many of those who survive may live with serious long-term side effects from their treatment. “Our mission is to fund research to find new, better and kinder treatments for young cancer patients in the North West, and across the UK. We want to bring forward the day when every child and young person survives cancers and does so with a good quality of life. Thanks to the support of people in the North West and across the UK, Cancer Research UK’s research has helped transform survival for children’s cancers, which overall has more than doubled in the last 40 years in the UK. Cancer Research UK is running a trial where researchers and doctors are using the genetic make-up of a child’s tumour to decide what is the best treatment(s) for them. The trial, called E-SMART, is a pioneering way of testing drugs in children with cancer and will also test lower doses of drugs typically used to treat adult cancers, to see if they are safe to use in children and if they work. 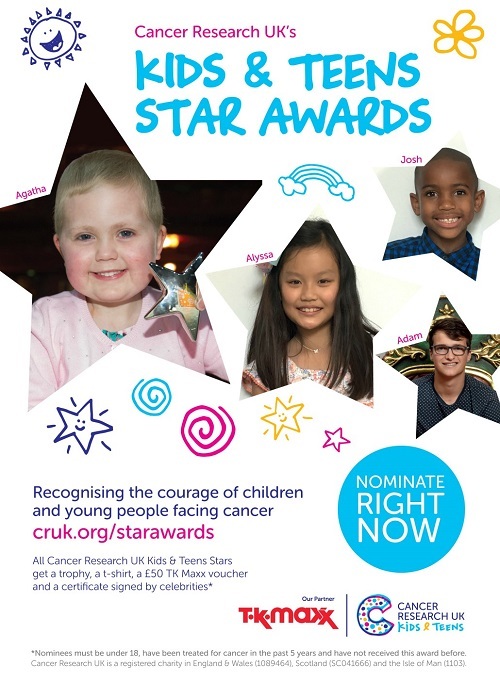 The Cancer Research UK Kids & Teens Star Awards are run in partnership with TK Maxx, the biggest corporate supporter of the charity’s research into children’s cancers. Since 2004, TK Maxx has raised over £32 million for research across the UK to find new, better and kinder treatments for children and young people with cancer. To nominate a child for an award, visit cruk.org/kidsandteens.